Meet Aston Jacobs, the hottest guy around. Except, he'd not full of himself. He doesn't cheat. And he's an Alpha. All his friends seem to find it funny he's still a virgin. That's when his best friend and girlfriend cheat together in bed at a party. Alone and afraid in a world full of love he realizes he's not like all the other guys. He finds his mate. But, he's a guy. What will the pack think? More importantly would the straight man take the not so straight Alpha wolf and let him love him? Could he love a wolf back? Find out now!!! Cant I do Anything Right? 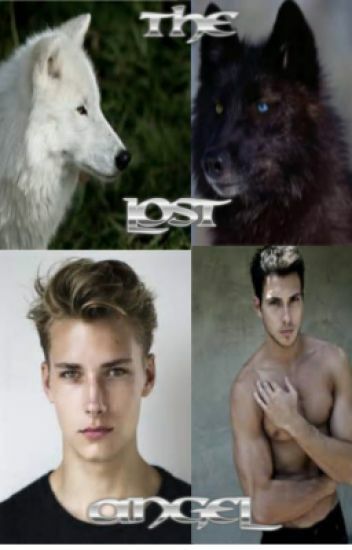 Roman Jeni is a Hybrid, son of a witch and werewolf. Recently he has moved to a new town with his mother and sister. He's carefree, sarcastic and and hilarious. He's been prepared for the day when his mate will reject him. Hybrids aren't allowed in most packs and are considered freaks. So what happens when he meets his mate and he's not rejected? Alan Gonzalez is Alpha of the Eclipse Pack. He's surprisingly goofy, fun and very kind to everyone and anyone. One day he picks up his little brother from school when he senses his mate. His brothers new friend. He accepts his mate whole heatedly right away. Will others be as accepting to a hybrid? Ryder Luimay is now to be alpha in a few month after his birthday since he's brother refuse to be and leaves the pack. He's openly gay and everyone knows except his parents. He only has until those months to find his mate which he believes will a girl, but what will happened when he finds out that his mate is no other then the boy he had a crush since middle school Chase, and what will the have to say about that? Axen Hunter is a normal 17 year old boy. He trying to deal with his problems and his bestfriends infaturation with his already taken older Brother Val. One day Axen leaves his last period the day, only to run into the alpha and the beta of the rivermoon pack. Not that he knows that werewolfs exist. What happens when he happens to be Sturm's imprint? They meet once and their fate is already entwinted. What happens win a crazy  relative of Axen appears? Will Axen make it of this journey alive or yet will he be with Sturm? Sequel to one of my most popular books 'blue' we follow our not mate-less king Nicholas wood How will he react to a forced mate who he holds no love for ? Kellen was a 17 year peasant boy who worked on his family's farm. A commoners ball was to be held in the grand castle. When the Prince is searching for his bride to be he comes across Kellen. After unknowingly meeting with the Prince, questions about his feelings began to arise. Will Kellen admit he is in love with another peasant boy or will Kellens family secrets have another plan for him ? Luke is strong, lean, and handsome. His brown hair is soft and neat, his silver eyes glisten in the light of the sun. But what about what happens when they glisten in the light of the moon? Ben is young, small, and...human. He hates his life as it is and wishes he could just die. He thinks of himself as a coward since he can never seem to just swallow the pills, or pull the trigger and just end it. Something is holding him back. Something odd, something special. Something so special and dear, that it will change his life forever. Cole Walker is the soon to be Alpha of the Black Raven Pack. On his 17th birthday Cole found his mate, a human named Aiden. Cole accepts Aiden but will Aiden accept Cole for who he really is and the responsibilities that will come with accepting Cole? Dominik is a gay werewolf that longs for his mate. One day, while chase down Jackie (his crazy bestfriend). He meets his mate  Aleksander by chance. What happens with  Aleksander just happens to be the beta of The Crimson Tears Pack? He also happens to be Jackie's cousin. Will Aleksander and Dominik make it? A weak human for a mate. (Boyxboy). My name is Henry, I'm a runaway human and some how got myself mixed up with werewolves and now at 16 have a bunch of rogue wolves out to kill me. Also I have a werewolf boy who claims he is my mate.